Prime Minister Justin Trudeau of Canada has an nine-year long record of supporting the Islamist cause while refusing to engage with reformist Muslims. Perhaps most disturbing were Trudeau's comments to a gathering of Islamist front groups: he told them that he shared their beliefs, their set of values and their shared vision. Canada will not be able to plead ignorance or inability while facing accusations of complicity from any future American terrorist victims. 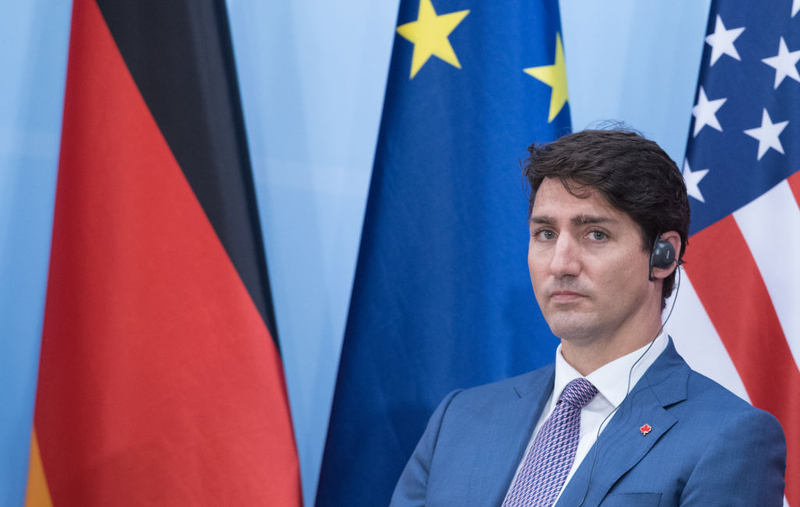 Prime Minister Justin Trudeau of Canada has an nine-year long record of supporting the Islamist cause while refusing to engage with reformist Muslims. With respect to ISIS fighters returning to Canada, Trudeau has argued that they will be a "powerful voice for deradicalization" and that those who oppose their return are "Islamophobic." Furthermore, the Government of Canada is not adding the names of returning ISIS fighters to the UN committee responsible for the listing of international jihadists. Many Canadians (and others) are starting to believe that Prime Minister Trudeau's position on reintegrating and deradicalizing ISIS fighters is unreasonable, if not delusional. Canada's "Centre for Community Engagement and Deradicalization" has no leader and no deradicalization centre. Nor does it appear to have plans for a program which could operate inside or outside of government. It is also not clear that the law of Canada could force a returning ISIS fighter to attend such a program, even if it did exist. In France, a similar government sponsored program was a failure. Canada also has an unclear position on the arrest of returning ISIS fighters, with few facing any consequences to date. The number of ISIS fighters in Canada is unclear; estimates back in 2015 suggested that about 60 had returned. The Government of Canada has tried to claim that his number has not changed since 2015, despite the near total collapse of ISIS over the last several months. Prime Minister Trudeau's earlier comments on politicians needing a position of "responsible neutrality" on the issues of wife beating and female genital mutilation render his current positions on Islamist groups such as ISIS even more troublesome. Perhaps most disturbing were Trudeau's comments to a gathering of Islamist front groups: he told them that he shared their beliefs, their set of values and their shared vision. Adding to this concern is his 2014 interview, as a Member of Parliament, to the Montreal-based newspaper Sada al-Mashrek. This paper is known to be Khomeneist in nature and supports Iran (as well as Hezbollah). In this interview, Trudeau told the paper that he would have a special immigration program that was more open to "Muslims and Arabs." The degree to which Islamist extremism has spread in Canada can be demonstrated by the number of fighters who have travelled to ISIS. According to the Soufan Center, 180 Canadians went overseas to fight for for "terrorist groups" (ISIS) in Iraq & Syria while only 129 Americans did the same. Given that the US population is about ten times that of Canada, the American number should have been closer to 1800 rather that the 129 reported. Prime Minister Trudeau's position on Islamists should be of concern to both Canadians and Americans. While the history of Canada and American relations is largely positive, Islamist attacks against America have been attempted from Canada. Among these attempted attacks have been Ahmed Ressam in 1999, Chiheb Esseghaier in 2013 and Abdulrahman El Bahnasawy, convicted of an attempted attack in New York City in 2016. In addition to his support for Islamists, Prime Minister Trudeau appears to be re-engaging with Iran after the previous Prime Minister (Stephen Harper) closed the Embassy of Iran in Canada and deported all of its diplomats. During the 2015 federal election, Trudeau said he hoped Canada "would be able to reopen its mission" and he was "fairly certain that there are ways to re-engage." Progress to date on this has been uneven, but talks appear to be continuing. Prime Minister Trudeau's support for the Islamist cause has been consistent since he was first elected as a Member of Parliament in 2008. This position appears to have been reinforced since he became Prime Minister in 2015. In addition to his own position, Canada's Liberal Party also has an entryist problem as it has been targeted by Islamist groups. Unfortunately for all concerned, the global Islamist ideology and its inherent problems of confrontation, oppression and violence are growing. Canada appears to be doing little to address these issues while accommodating those who form the ideological basis of the problem. Canada will not be able to plead ignorance or inability while facing accusations of complicity from any future American terrorist victims. The price of Canada's submission to the Islamists may indeed be high.